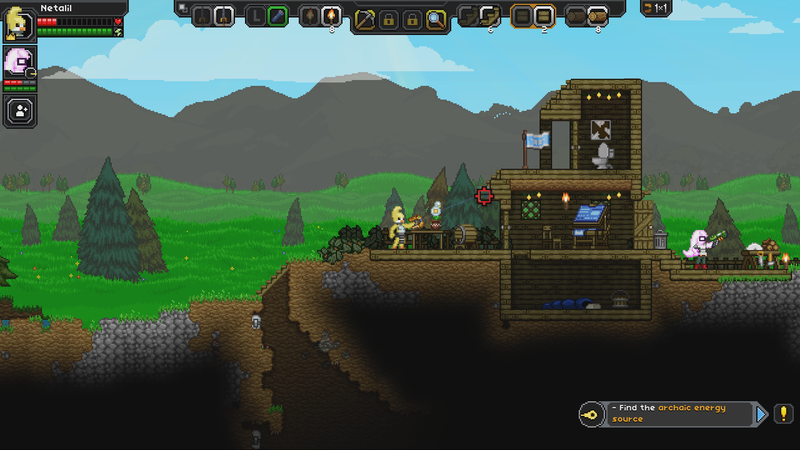 Today we’re excited to show off just how the mech assembly in Starbound’s upcoming 1.3 update will work. As we’ve touched on in previous blog posts, mechs are a single, modular vehicle type which are built of several different components. 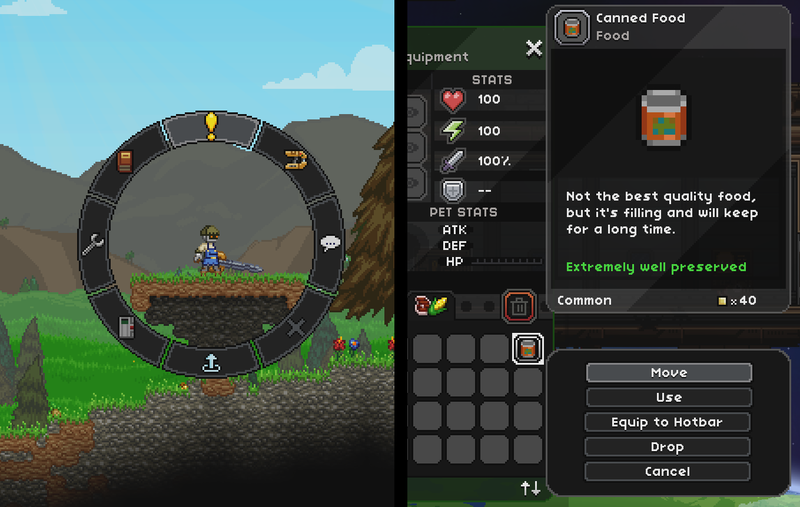 These mech components are items that you can craft, find blueprints for and trade with your friends. 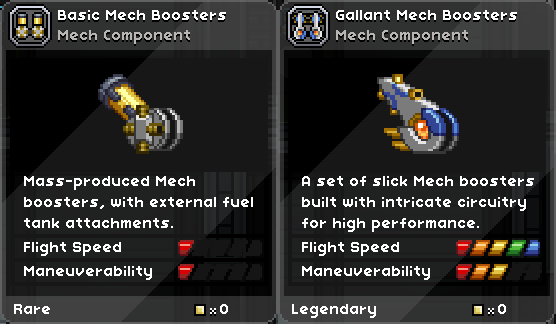 Of course, you’ll want to improve your mech with newer, shinier parts. Luckily there’s a lot of space to explore, so finding rare mech component blueprints out there shouldn’t be too much of a problem for any eager adventurer!